We are committed to attracting, recruiting and developing women in our workforce. We are also focused on increasing the flexibility of our work arrangements in order to support diversity across all roles. 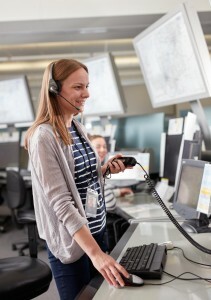 Air traffic control is an exciting and rewarding career, and there’s never been a better time to join Airservices. We are working together with our customers and stakeholders—the airlines, airports and airspace users—to manage the safe and orderly flow of aircraft into, out of, and between airports throughout Australia and with overseas regions adjoining Australian airspace. When you join Airservices, you’ll be making a meaningful contribution by connecting individuals, families, communities and businesses across Australia and the world. Our air traffic controllers enjoy long and rewarding careers with fantastic benefits, including world class training in modern training facilities, advanced technology, a competitive remuneration package and a friendly working environment. We have established policies and practices to support employees with caring responsibilities. This enables our people to explore options that aim to balance our operational needs with family and caring responsibilities. We also provide opportunities for air traffic controllers to switch between full-time and part-time work, and offer parental leave and defence leave. Airservices also offers development opportunities for all our people, whether technical qualifications, accredited training, leadership development or networking opportunities. We also provide employees (and their families) access to an Employee Assistance Program. This is a free and confidential counselling service that aims to support our employee’s well-being.